As the final part of our series, we’ll list features that set 24 North Hotel Key West apart from the rest. In previous posts, we’ve covered our onsite food options, shuttle services and room amenities. Here’s the final installment of the 24 Reasons you should stay at 24 North. (Check out more 24 North perks in part 1, part 2, part 3, and 4 of the series). As a desirable location spot, Key West has its share of hotels with varying prices. 24 North Hotel is the best-priced option on the island, with pool access, clean, beautiful rooms, great customer service, shuttle services, and more. You’ll be hard-pressed to find other hotels that offer so much value at such a low price. Check out specials only found on our website and book your stay with us. Our recently opened bar and lounge is an excellent place to slip indoors and enjoy a drink. Check out our $5 Mojito Mondays, complete with trivia night from 7-9. Republica Bar & Lounge is located downstairs at 24 North. Stop by and have a drink. 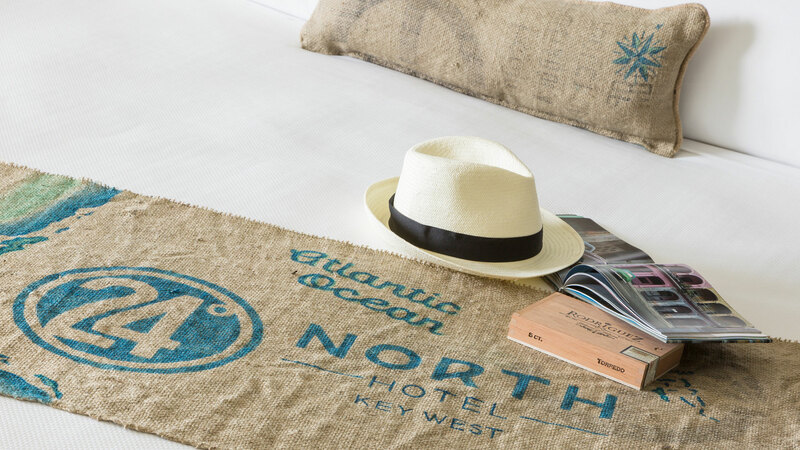 24 North Hotel is situated at Key West’s port of entry and just 10 minutes from the airport. Located in Old Town, the hotel is a nice refuge from Duval Street and our daily shuttle services are super convenient to avoid unnecessary parking tickets and traffic. With the opening of our Sunset Green Event Lawn, we’ve played host to concerts, discussions, silent discos and beer fests. We strive to provide our guests with onsite activities and events whenever we can. Check our online event calendar for upcoming shows and activities.